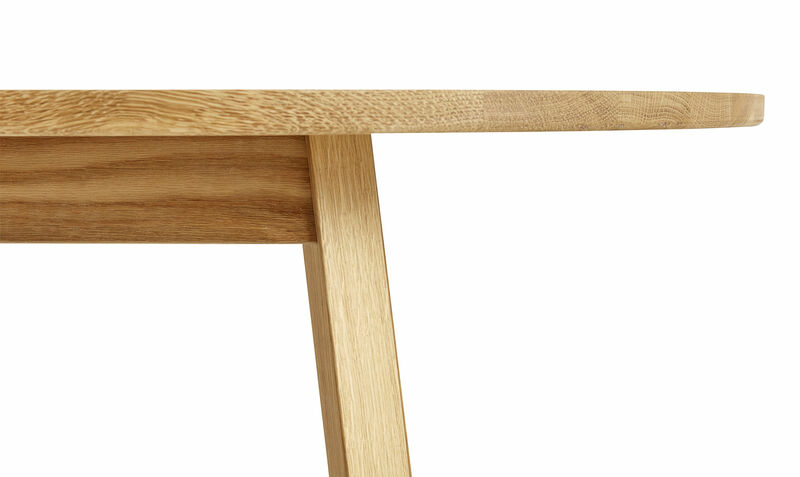 Motivated by the desire to create more space around a table, Simon Jones designed the Triangle range made up of a table and a matching bench. 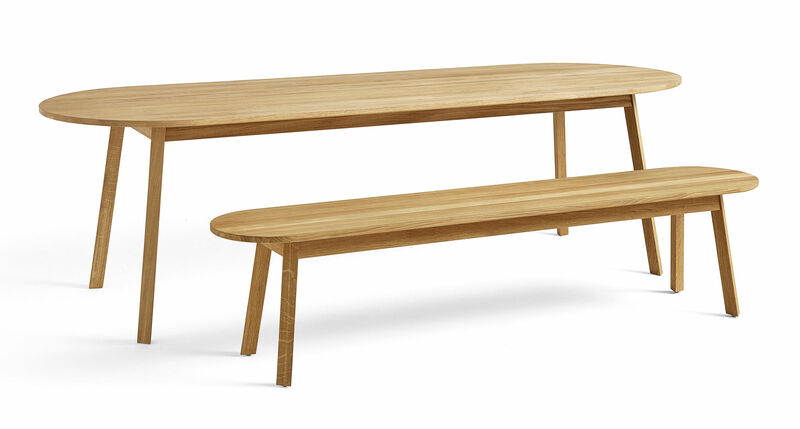 The bench has rounded ends, therefore creating a friendly frame: this shape allows it to add additional seats while staying compact. This bench with a simple and clean style is made of solid oak with an elegant oiled finish. 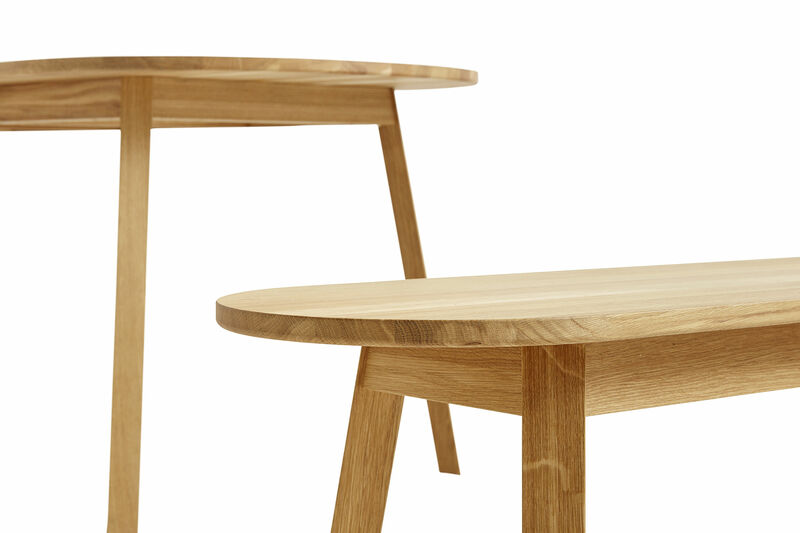 Its triangular legs give an impression of lightness which will blend into a dining room equally as well as an office. 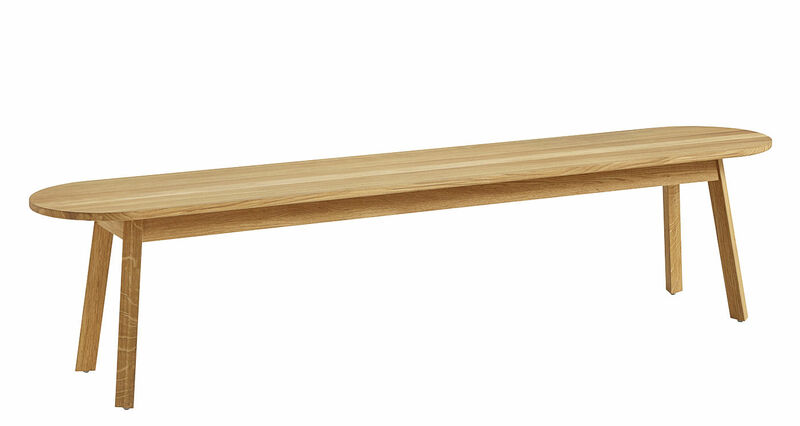 < br/>For surfaces that are not flat, you can adjust the height of the bench thanks to the screws built into the legs.